I’ve been meaning to make this update for a long time, so please bear with me as I continue to work on balancing my schedule. With that said, let’s get down to business, shall we? There are a few Alice items that seem more myth than reality — those seemingly unattainable pieces that haven’t been seen anywhere but the silver screen. I can think of a few offhand: the dress Alice wore to the graduation party in Eclipse; the white blouse she wore beneath the Knitted & Knotted limehouse sweater coat in Twilight; and, most notably, the Michael Kors Grey Ombré Cocoon Coat, which she wore in Volterra in New Moon. 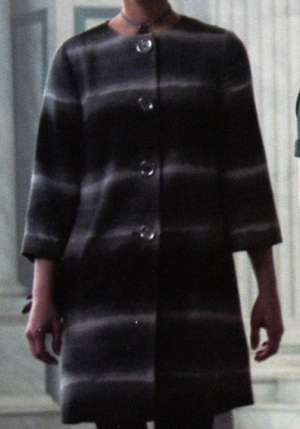 The general consensus was that, while a cropped version of the coat had once been available for public purchase, the one we saw in New Moon was made specifically for use in the film. I, for one, gave up much of my hope of ever finding it… although I did sometimes look on eBay, mostly in vain. I didn’t look hard enough, apparently, because it does exist — and it’s owned by my friend Anna, who snagged in on eBay for a criminally low price. Maybe if we ask nicely enough, Anna will tell us what the information on the tag says, which may make it easier for other people to find. In the meantime… happy hunting. Well, since you asked so nicely. The price tag (yes, it was NWT), says Macy’s, MICHAEL by Michael Kors and originally retailed for $229.50. Even the silver buttons say “Michael Kors” on them. Mine was listed as Michael Kors coat. 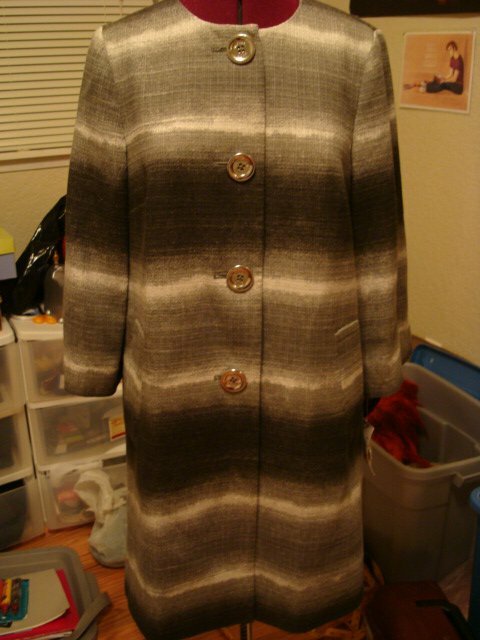 But I would try it with “grey ombe jacket / coat” too. I´m from Argentina (South America) and got this coat on sale, completely by chance at Century 21 in New York while I was on Holiday Easter time 2009. Later on When the movie came out in my country and went to see it i couldn’t believe my coat was on the screen! and for almost the whole movie! i do love this coat and take great care of it. I got the cropped version but I’m still hunting for this!! Previous Did any of you foresee this post?